Do you consider yourself to be a handyman? Are you always looking to fix something up or patch up something that is broken? Well, be prepared to get your hands dirty because this auction will give you all the tools you need to be the best fixer-upper around! 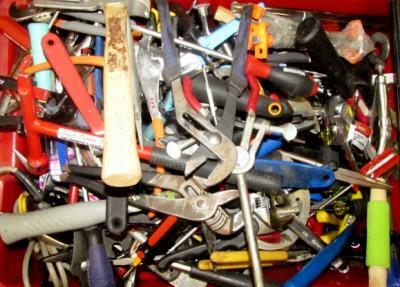 This auction has one lot that consists of 100 lbs of assorted hand tools. 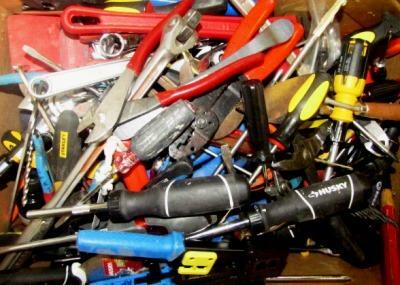 Some of the hand tools included are screwdrivers, pliers, hammers, and wrenches. These tools come in various types, styles, colors, conditions, and brands. With these tools in your toolbox, your family can count on you to fix almost anything! Your wife and kids will be thrilled to know that you can fix a leaking sink or a broken door without having to call someone! These hand tools have been used, so if you would like to inspect them in person before deciding whether or not to place a bid then you must contact the auctioneer ahead of time to schedule an appointment. This auction is located in Denver, Colorado, and the closing time is on September 9 at 4:11 pm central time. Right now, the current bid is $109, and there have been 4 bidders so far. For any further information, simply click here to subscribe to www.governmentauctions.org for your FREE 3 day trial. Are you looking to add some tools to your toolbox? Are you somebody who is always fixing things up around the home? Well, this auction is here to enhance your tool arsenal and help you become the best fixer-upper around! This auction is one lot consisting of over 500 individual hand tools, power tools, lube pumps, trouble lights, brake bleeder kits, hoses, and other various items. These tools are considered usable or repairable and the container has an estimated weight of 800 pounds. Buying these types of tools individually can be very costly, but now is your chance to acquire hundreds of them at a very low price! This auction is located in Arden Hills, Minnesota, and the closing time is on March 6 at 5:24pm central time. 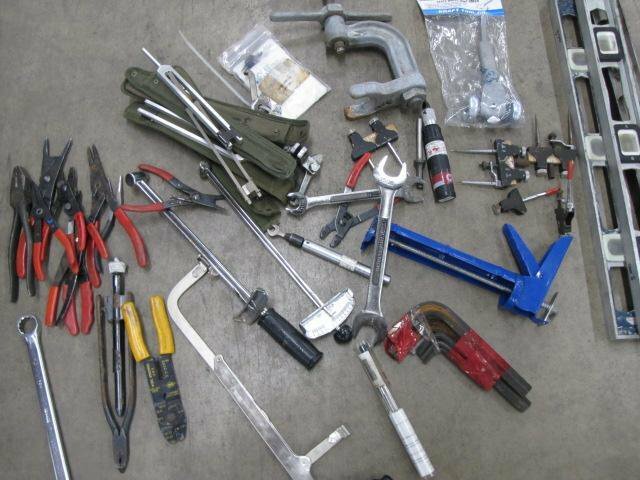 If you would like to inspect these tools before placing your bid, then you must contact the custodian ahead of time to schedule an appointment. If you are the lucky winner, you will need to provide the bill of lading if not picking up the lot in person. As of now, the current bid is $176 and there have been 3 bidders so far. For any further information, simply click here to subscribe to www.governmentauctions.org for your FREE 3 day trial. Everyone needs a utility tool. If you are looking for a set of tools you can whip out at a moments notice, then you should check out this current online auction for a lot of Supertool Leatherman 20 Pieces. This set of tools could come in handy if you need to fix anything around the house or in the shop. These tools are world famous for being handy and sturdy. They are tremendous assets for people who work with their hands. These tools are located in Colorado and can be easily shipped to you. The current bid on this lot is only $162 with the auction ending in a couple days. Find out more about these tools and many more items by activating your free trial here. 30 Leatherman Multi-Purpose Tools: Get Some Work Done!